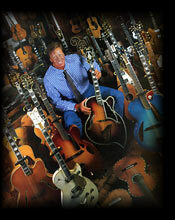 cott Chinery was best known as the owner of one of the world's most impressive and extensive guitar collections. But his greatest accomplishment wasn't the fact that he acquired more than 1,000 instruments-his foremost achievement was making the general public realize that the guitar is a work of art and an important icon of American culture. Scott worked ardently to elevate respect for guitars and to make Americans realize that the guitar was a valuable national treasure. Perhaps his most significant contribution was inspiring the Smithsonian Institution's Museum of American History to devote an exhibition to the American guitar. But that was just one of many accomplishments Chinery achieved. 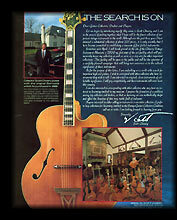 He also loaned his instruments to the Boston Museum of Fine Arts' Dangerous Curves: Art of the Guitar exhibit, sponsored numerous guitar shows where he displayed his instruments, provided his guitars to Steve Howe and Martin Taylor to record their duet album Masterpiece Guitars, and shared his collection with everyone in the book The Chinery Collection. However, Scott's proudest personal achievement was the Blue Guitar collection. Inspired by a magnificent blue sunburst D'Aquisto Centura Deluxe that he considered one of the most perfect guitars he had ever played, Chinery commissioned 22 of today's top luthiers and asked them to build what they thought was the ultimate archtop guitar. 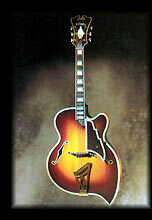 His only stipulation was that the guitar must have a similar blue finish to the D'Aquisto. Scott wanted to show people that many of today's guitar makers are producing exquisite instruments that are as desirable and precious as the most coveted vintage guitars. Scott was always generous with his collection and his enthusiasm rubbed off onto anyone with even a passing interest in guitars. One of the most exciting experiences I've ever enjoyed as a guitar collector was the time that Scott Chinery invited me to spend three days doing an extensive photo shoot of his vintage guitar collection for Vintage Gallery magazine. I was impressed by Scott's massive collection, but I was even more impressed by his passion for the instrument. Whereas many collectors would hover over their prized possessions like mother hawks, Scott encouraged me to handle and play these instruments and experience their magic in my own hands. But even more remarkable was how Scott welcomed everyone who shared his love of the guitar. He even invited total strangers who asked to see the collection into his home and treated them like lifelong friends. 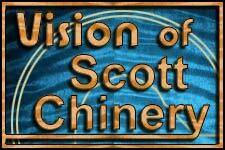 The guitar collecting community suffered a tragic loss when Scott Chinery suddenly passed away on October 24, 2000. He was only 40 years old, but the enthusiasm and respect for guitars that he inspired will live on for many generations to come.